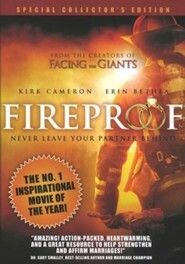 Based on the movie Fireproof, this curriculum was created to help build and strengthen marriages using biblical principles. 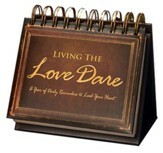 It is designed with an easy format that integrates movie clips, key Scriptures and group discussion. 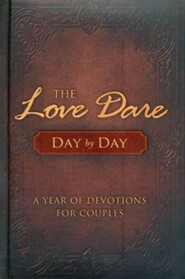 Intended for couples' small groups, the kit includes an easy to follow DVD, one leader's guide, and one participant's guide. 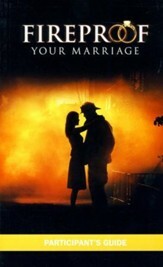 Designed for use with the Fireproof Your Marriage couple's kits and participant's guides. 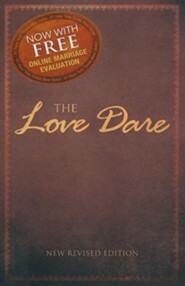 Youll need one Leaders Kit per group or class, and one Fireproof your Marriage participants guide for each participant. 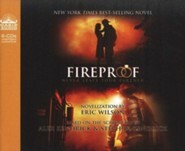 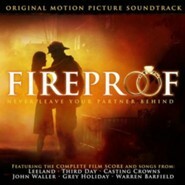 I'm the author/artist and I want to review Fireproof Your Marriage, Leader's Kit.